The ability to develop healthy friendships and peer relationships is vital during the teen years. This down-to-earth guide supports and empowers teens to develop positive, healthy friendships with peers. Structured in the form of “tips,” the text addresses key social skills needed to make friends, including interpreting and sending the right body language, overcoming shyness and approaching others, and being a good conversationalist. 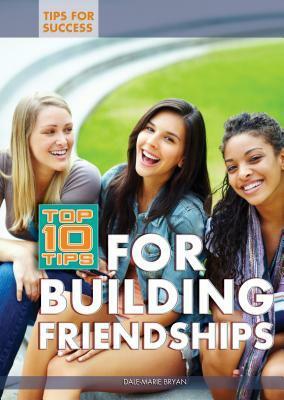 The book also discusses skills needed to make friendships endure, such as being honest, dependable, and trustworthy, being an active listener, and forgiving a friend’s occasional mistakes. Teens are encouraged to feel proud of their own unique traits and abilities, to act kind and loving toward themselves, and to steer clear of unhealthy friends who encourage them to violate their values. This is a timely, relevant addition to any teen guidance collection.